Modern life is busy and free time is often scarce. As we rush around, trying to keep up with our kids, work, family time and chores, we have less time for shopping -- both for the essentials and the fun stuff. 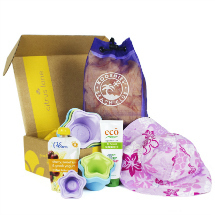 Enter monthly subscription "boxes" for kids and moms-to-be. Brilliant! I've gathered five popular options. It seems that I stumble across a new monthly subscription service regularly. I think they're great for busy moms (and moms-to-be) and they also make wonderful gifts. Following are some of the latest and greatest. For kids who loves crafts, Kiwi Crate is a great option. 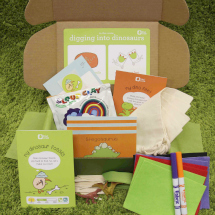 Designed for children between the ages of 3 and 7, each month's box contains hands-on projects. It's great for busy moms (and moms who are less than crafty on their own, ahem, me) who still want their kids to have fun crafting. "At Kiwi Crate, we're inspired by kids' creativity and curiosity," Sandra Oh Lin, the founder of Kiwi Crate, told me. "With Kiwi Crate, we want to make it fun and easy to spend time exploring and creating together. We carefully select and test each project to ensure that it's engaging and developmentally appropriate. Plus, monthly deliveries make it super convenient for all of us well-intentioned and busy parents." Are you focusing on kindergarten readiness for your child? Try Wonder Box! 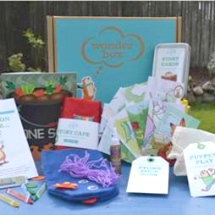 Each Wonder Box, created by Education.com's team of experts, is filled with hands-on projects and activities and at-a-glance materials that let parents know exactly which kindergarten readiness skill their child is developing with each project. My son, who begins kindergarten in the fall, is having fun with a Wonder Box right now! "We created Wonder Box to give parents a short-cut to the magic moments we all crave with our children by delivering carefully chosen projects and activities that help families have fun exploring the world together," said Danielle Wood, Editor-in-Chief of Education.com. Created for moms of babies and children from newborn to three months of age, Citrus Lane offers three, six, and 12-month gift packages. Each month, parents receive a box filled with four to five best of products based on the child's age (from newborn to three years) so it truly is the gift that keeps giving. And sometimes boxes will include a special surprise just for Mom. Each item in the Citrus Lane boxes has been carefully researched and chosen by real moms and dads. Founders Mauria and Claire are both moms themselves, and they are committed to offering only the most innovative, useful and delightful products for babies and parents alike. From the founders of GlossyBox, petiteBox delivers high-end, luxury products for both expecting moms and moms. I think it's a great gift for moms-to-be. 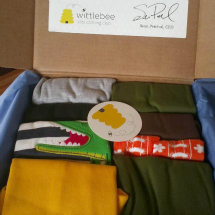 petiteBox delivers a beautifully packaged box from month four of pregnancy right up until your baby's first birthday. The petiteBox team carefully tailors each box to ensure every product is stage and age appropriate and only includes natural products that are suitable for expecting and nursing women. petiteBox pride themselves on being the definitive word on the mommy and baby world. Wittlebee offers one of the more pricey monthly subscriptions, but I've been subscribing for several months now and I feel like it's worth the price. When you sign up, you answer a few questions about your child's style, their clothing size and more. One of Wittlebee's mom stylists reviews the lifestyle background information you provide, such as your child's sports activities to seasonality clothing requirements, and they create the ideal package of basic apparel that matches your child's needs. Each month, you'll receive a box of clothes with a retail value of over $100. I actually split the contents of each month's box between by two kids. While the sizes have been off for my son the past few months, I also know that the company is happy to work with you and replace clothing that doesn't fit. I just haven't had a chance to call! I'm happy with my subscription and would recommend Wittlebee to any busy mom. We've gotten some fun clothes that I wouldn't have necessarily chosen myself, but that I love, which means we're expanding our options! Summertime doesn’t have to mean a complete mental break from learning. BabbaBox is a fun monthly service that offers enriching activities for kids to create, explore, story tell and connect. Each box contains two to three creative, useful, reusable and gift-able projects based on a topic (such as gratitude), an engaging activity to explore the topic, a relevant book and a curated selection of pre-paid interactive downloads. 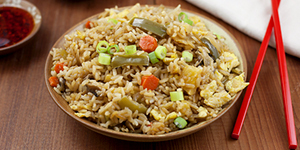 BabbaCo was founded by entrepreneur and mom Jessica Kim, who was recently honored in Crain’s 40 Under 40. She’s a pioneer in the subscription service industry who took the subscription model and adapted it for children in a meaningful way.